Villa Dar Tifiss is the quintessential Moroccan villa, with walls of red clay shaded by majestic palm trees with a glistening swimming pool nestled in between. 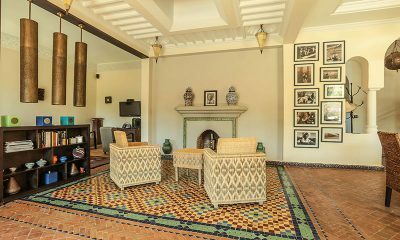 The interiors are light and modern, with stylish nods to Moroccan aesthetics visible in the tiled floors, vibrant textiles and eclectic artwork adorning the walls. 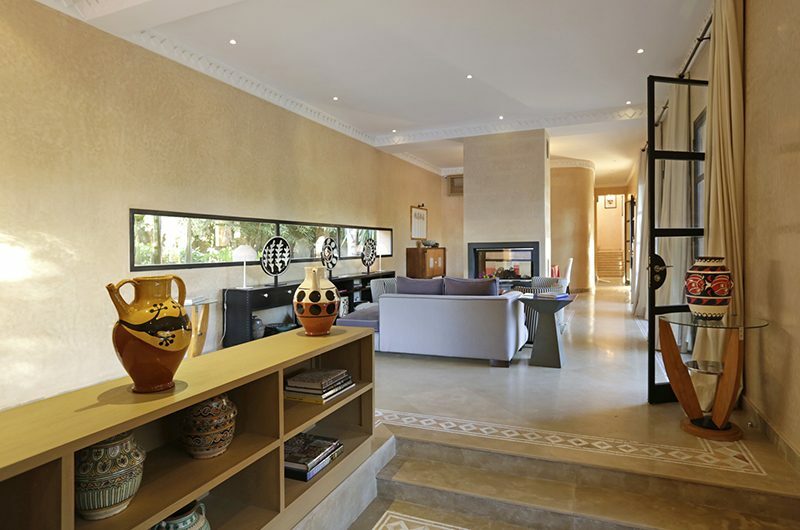 Villa Dar Tifiss has five bedrooms with ample room for large groups to spread out in the stylishly decorated living areas and expansive gardens. 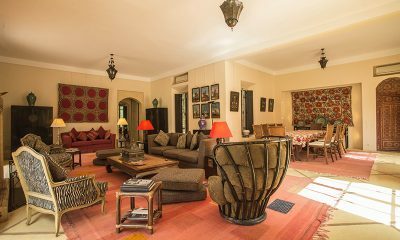 Hidden in a peaceful enclave with other luxury villas, Villa Dar Tifiss is just 15 minutes away from the centre of Marrakesh. 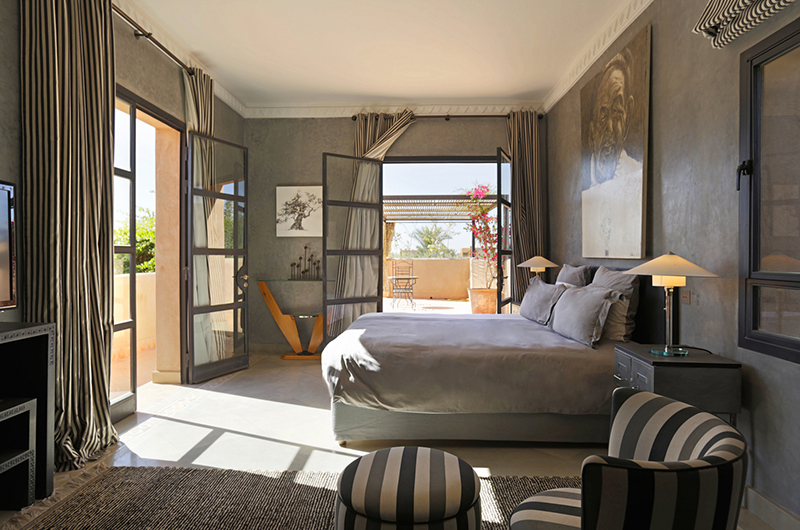 Villa Dar Tifiss is a massive Moroccan residence offering an inspiring mix of modern style and Moroccan details. 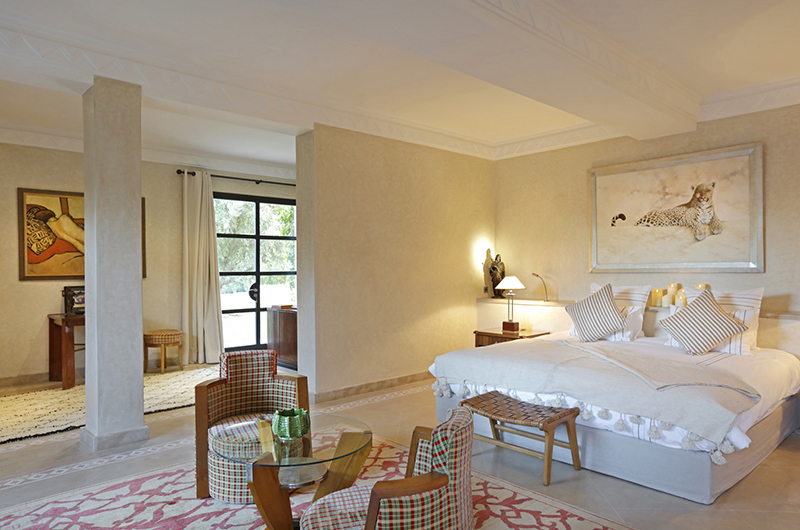 A whimsical twist is provided by the safari-inspired art pieces dotted throughout the contemporary interiors. 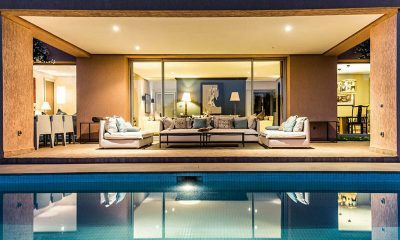 Stylish and comfy, the villa’s modern living area is divided into two zones. At the centre of the room is a seating area arranged around a modern fireplace. To the side of the room is a well-appointed TV area where three striped sofas sit arranged around a wall-mounted TV. You can soak up mesmerising views overlooking the property from the rooftop lounge which is furnished with delicate white sofas and armchairs. Villa Dar Tifiss’s indoor dining area is built into the living room, with a large dining table flanked by a fireplace on one side and glass doors looking out to the pool on the other. Right next doors you’ll find the villa’s well-equipped kitchen. You can also enjoy your meals outside by the pool where a shaded dining area offers a beautiful alfresco setting. Villa Dar Tifiss’s lap pool is 15 meters long and can be heated during the winter months. The pool area is surrounded by sun loungers, with manicured lawns and exotic trees providing an enchanting summertime setting. 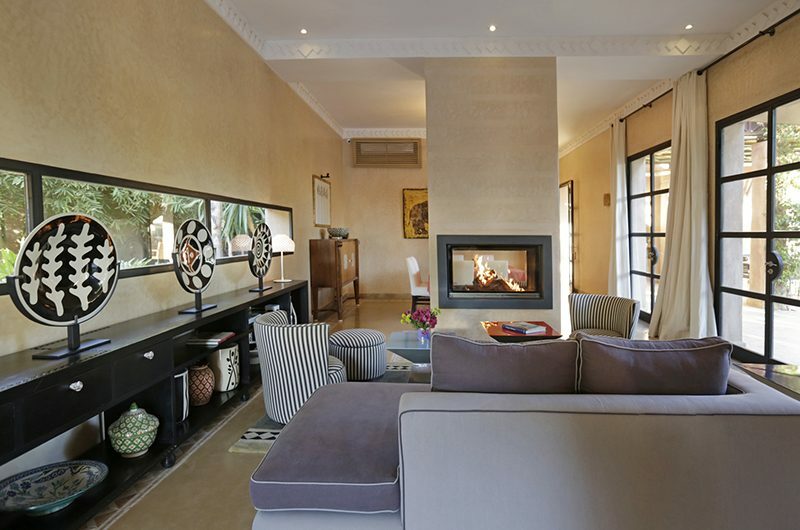 Villa Dar Tifiss has five bedrooms. Four rooms have king-sized beds and one room has two single beds. There are two bedrooms on the ground floor and three bedrooms are housed upstairs. 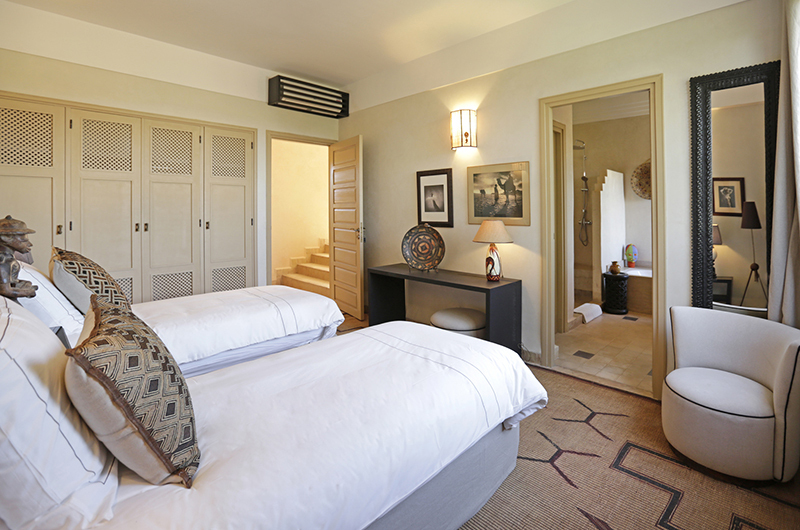 The grand master bedroom is located on the ground floor. This spacious room comes with a king-sized bed, a TV and a spacious office area. The ensuite bathroom has a bathtub and shower and a walk-in wardrobe. 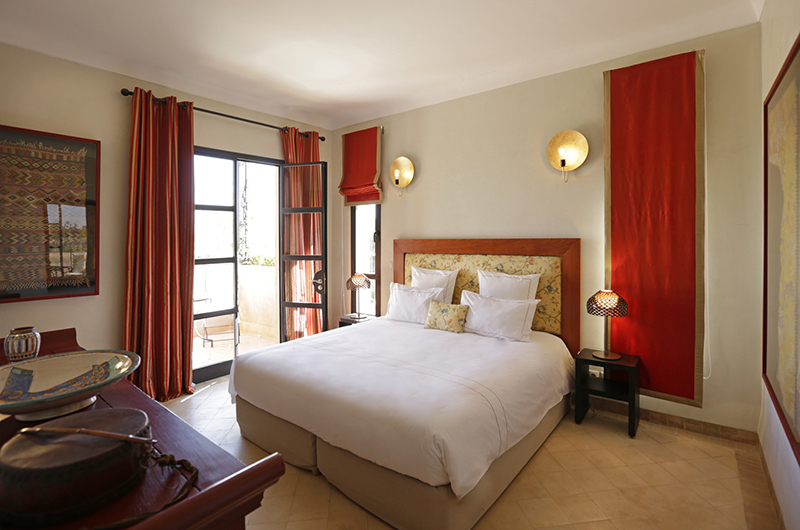 Located upstairs, the second bedroom is furnished with a king-sized bed and an ensuite bathroom with a shower. The third bedroom is located next to bedroom 2 and comes with two single beds and an ensuite bathroom with a bathtub and shower. The fourth bedroom is also located upstairs and comes with a king-sized bed, a TV and an ensuite bathroom with a shower. The fifth bedroom is located in its own garden pavilion away from the main house. This room has a king-sized bed, a TV and a private lounge area with a fireplace. The ensuite bathroom has a shower. Villa Dar Tifiss is a five-bedroom villa that’s built over two floors. The ground floor includes the living and dining room, kitchen and master bedroom. Another bedroom is also housed on ground level, but in its own garden pavilion. There are three more bedrooms located upstairs on the first floor. Villa Dar Tifiss also includes a 15 x 4.5 metre swimming pool. Your stay in Villa Dar Tifiss is made enjoyable by the professional staff. Villa Dar Tifiss’s staff have been professionally trained and will do their utmost to please with their warm and friendly hospitality. Villa Dar Tifiss’s experienced and knowledgeable manager is responsible for the overall operation of the villa. The villa manager will oversee and coordinate the staff and property and assist you during your stay. Villa Dar Tifiss offers half board and all inclusive dining packages. The half board option includes a full breakfast and lunch or dinner. The all inclusive option includes breakfast, lunch and dinner. The villa offers a suggestion menu mainly focusing on Moroccan cuisine and special diets can also be accommodated. Villa Dar Tifiss includes 24-hour security. 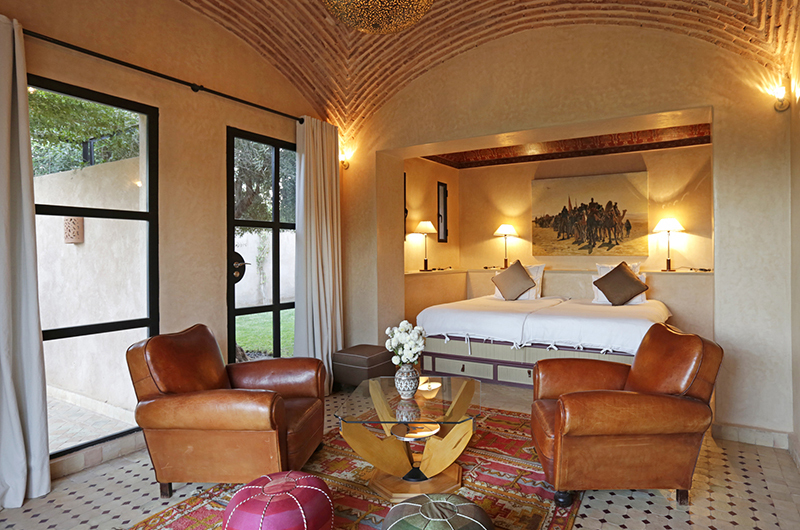 Villa Dar Tifiss is located just outside the city of Marrakesh in Morocco. 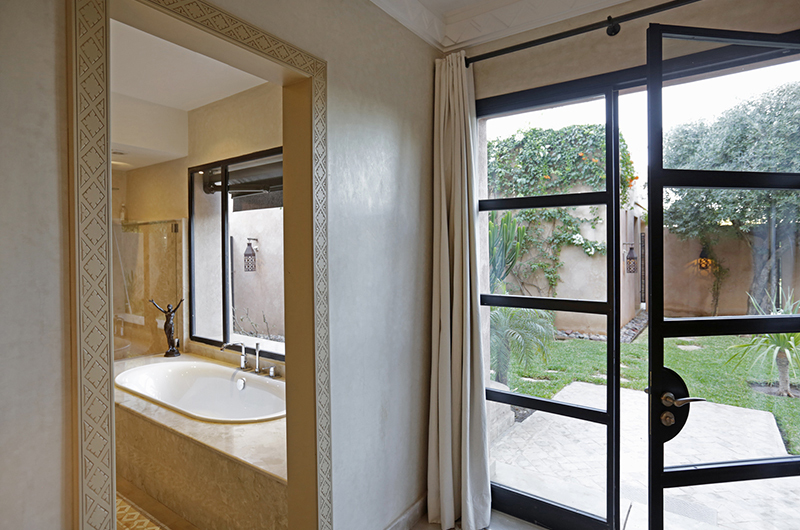 The villa is tucked in a secure enclave along with other luxury properties. 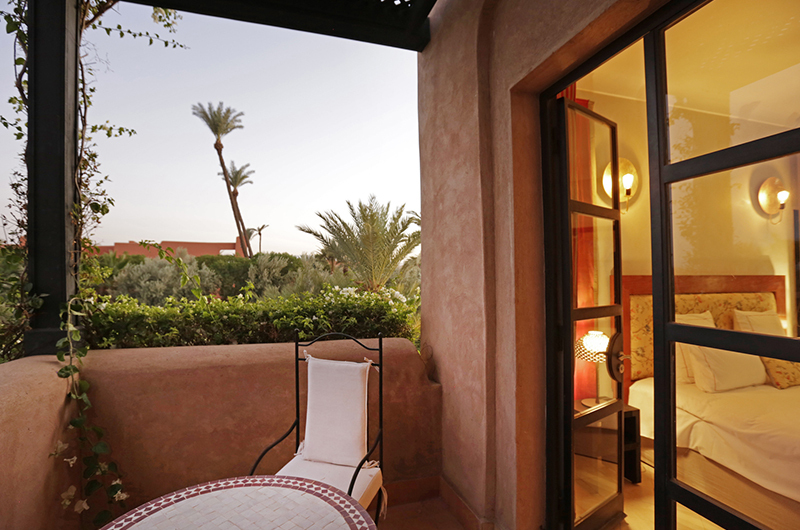 You can reach the vibrant centre of Marrakesh with its restaurants, bazars and cultural sights in a 20-minute drive. The Amelkis Golf Course and Pullman Resort are both also just 15 minutes away by car. 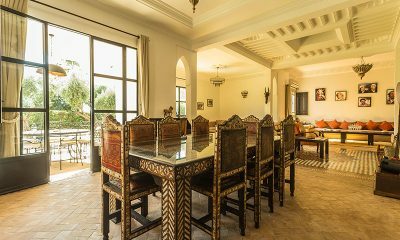 Villa Abalya 22 features exotic Moroccan decor and a riad inspired swimming pool with views of the Atlas Mountains.